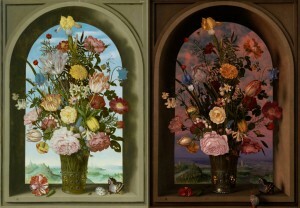 The Frick’s new exhibition “Vermeer, Rembrandt, and Hals: Masterpieces of Dutch Painting from the Mauritshuis” features an enlivened version of Ambrosius Bosschaert’s Vase with Flowers in a Window. Artists Rob and Nick Carter created the work by creating a time lapse-like video loop version of the work; complete with changing light, weather fluctuations, and life-like snail exploring the space. If only more works actively called on the viewer to look slowly and repeatedly! 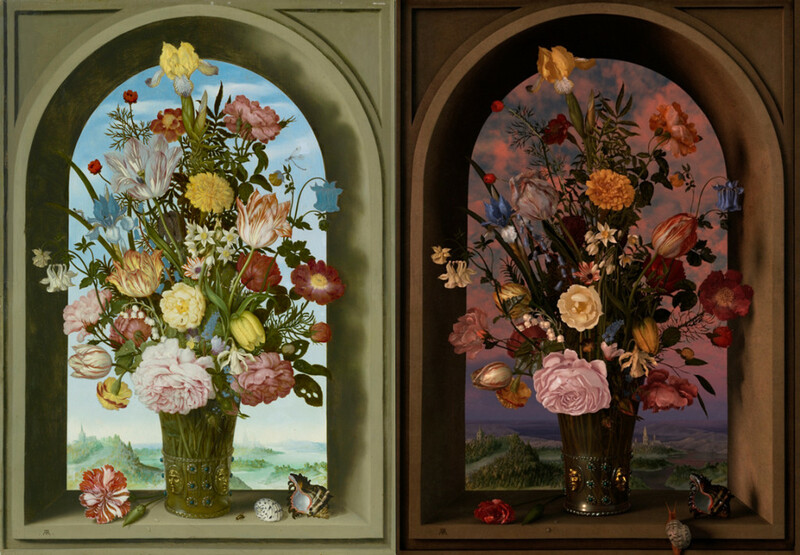 Read more about Rob and Nick Carter’s Transforming Still Life and the Frick’s exhibition currently on view here.